Indestructible dog toy is advanced model of dog toys for large dogs like Mastiff. It is made of strong and durable, special rubber foam, that is safe and strong for Mastiff teeth. 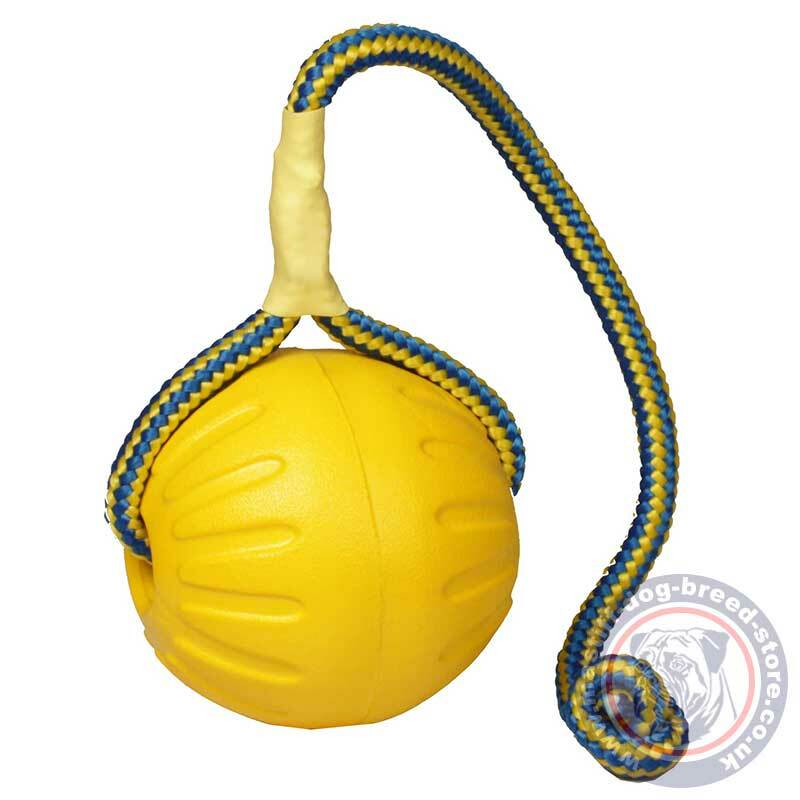 At the same time this large dog ball is lightweight and even floats in water. 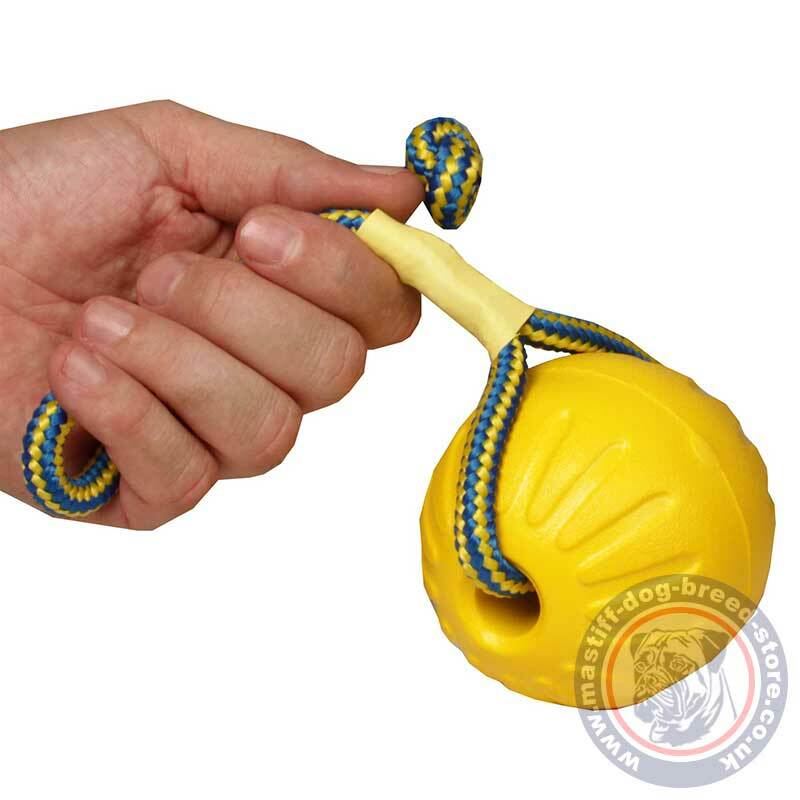 It is a perfect indestructible dog toy for outdoors, fetching, throwing, Mastiff training, walking, towing and chewing. dog games, like fetching, towing, chewing etc.